Welcome! Thanks for stopping by and taking the time to get to know me. Let me introduce myself, I'm Carol Blawn, owner of Exit Beach Realty and a proud Daytona Beach REALTOR. While I am a really busy real estate agent, I will never be too busy for you. I've got your move covered. Let me explain…. There are reasons you'll want to do business with us and I am proud to share them with you! Being part of the Exit Realty System was the best decision I have ever made in business, for my customers, for my agents and for myself. Exit Realty is the #1 fastest growing real estate company in North America and that doesn't happen by accident. We have the leading tools in the real estate industry for technology, marketing, training and recruiting. When you are busy, you need do need a system or two! Details and timelines really do matter. Successful moves and moving on time are also really what matter! We want happy customers, customers who will request our services again. My little company has ranked in the top 20 for sales at theDaytona Area Association of REALTORS and we are in the top 5 for listing properties as well. Exit Beach Realty, as well as myself have won many awards for the region, state and entire Exit Realty Corporation for top sales. I am sorry if it sounds like I am bragging, that is not my intent. This information is important for you to know as a consumer and you should be well informed about the agent you are planning on working with. After all, working with the wrong agent will cost you money and time. Ask potential agents just how many successful transactions they have had for the year. Yes, it really matters. I love being able to market homes for home sellers and then help them get to where they want to be. I am also an REO Agent, this means I list Real Estate Owned and bank owned homes, along with foreclosures for various banks and investors. I also do BPO's(brokers price opinions used to determine the value of a property) and I truly understand the market and trends in the Greater Daytona Beach area. I service both Volusia and Flagler Counties and am a member of both real estate boards. This certification relays to the public that those certified have been professionally trained in and are sensitive to a wide range of cultural issues. An agent with NAR's e-PRO® certification is dedicated to making the most of today's social media and technology to help you with your real estate needs, whatever they may be. e-PRO® is the only technology certification to be officially recognized, endorsed, and conferred by theNational Association of REALTORS®. We use a wide variety of tools and technology for efficiency, service and marketing. A good portion of my marketing dollars goes to promoting our listings on the market and finding our buyers the perfect property! I am married to my best friend and I love my family, my handsomegrandson is the apple of my eye. I am able to juggle life as aREALTOR and my personal life very well. When you work with Carol Blawn you also work with up to the minute technology systems and a great team. 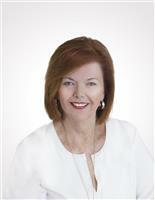 To request an appointment with Carol Blawn of Exit Beach Realty contact me right here!